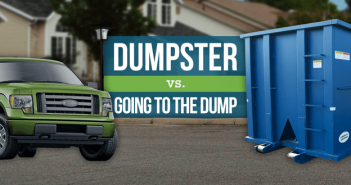 There are many different situations that can warrant a need for a dumpster rental. This blog post will entail 5 reasons for renting a dumpster and 5 reasons for not renting a dumpster. Garage Clean-out – One of the common reasons many people rent dumpsters is for a room cleanout. I understand the woes of not being able to park in your garage because you have junk laying all around. If you want to get rid of that junk in an easy and affordable manner, a dumpster rental can be a great way to do that. Moving – When it comes that time to move from one place to another, this is a great opportunity to rid yourself of unwanted items. 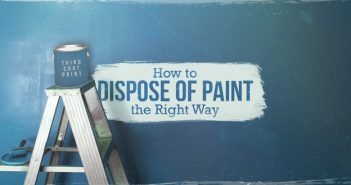 Having a dumpster in your driveway, is optimal to throwing out materials you no longer need and do not want to haul from one home to another. Remodel/ Renovation – A home remodel or room renovation can accrue quite a lot of waste material. Once you start to re-do your home or room, you will notice that you do not need or do not want most items. A dumpster rental can collect all different kinds of household materials such as clothes, toys and furniture, as well as, construction materials such as wood, metal, insulation and even more. Family is coming – If you are planning to have family or friends come and stay with you, you may need to make room for their arrival. This may require you to throw out unwanted junk in your home that is taking up some much needed space. Your family is the perfect excuse to rent a dumpster and make room in your home. Spring Cleaning – Is that time of year again? If not, then go ahead take on a major cleaning project anyways. If you feel the inspiration to deep clean your home, go for it! If you are anything like me, this inspiration doesn’t come around too often. Cleaning may entail throwing out unwanted items and this will require a dumpster rental. Need permanent waste removal – If you are someone who will need a large amount of waste removal every day, then a dumpster rental may not be the best choice. This usually applies to restaurants and office buildings who accumulate trash every day from multiple people. Not enough trash – Even the smallest 10 yard dumpster rental holds up to about 3 pick-up truckloads of trash. 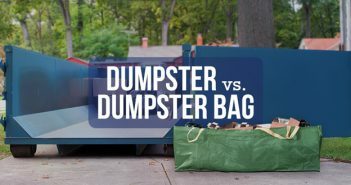 If you only expect to have a few items to throw out or if your average weekly trash can handle your trash, then a dumpster rental may not be necessary. Non-inclusive prices – You never want to rent a dumpster from a company that does not provide all-inclusive prices. Some companies use a non-inclusive policy to tack on hidden fees and charges, make sure the company you choose does not entail this tricky tactic. Dirt – If you need a dumpster for just dirt, then a dumpster rental may be the best way to go. Many waste removal companies cannot accept large amounts of yard debris or dirt. You should look into donating or even selling your dirt to a local gardening center or landscaping company. Hazardous materials – A temporary dumpster rental is not the best choice for disposing of hazardous materials. Hazardous and flammable items pose a threat to the environment when they are disposed of in landfills, therefor you will need to contact your city to figure out where you can dispose of hazardous materials. For more information about renting a dumpster, call Budget Dumpster at 1-866-284-6164 or visit our website at www.budgetdumpster.com. I usually rent out a dumpster when I trim all of our trees in the spring. I used to trim and then pick up all of the branches and move them to the back of my pickup. It’s much easier to dump the branches directly into the dumpster. Thanks for your comment Jim! We definitely agree, dumpsters are great for yard debris. I guess it makes sense to rent a dumpster when you are moving. Nobody wants to have to take unimportant stuff when going to a new location. I wish my wife would understand that. She has been a notorious hoarder all her life.